The local Korean village of Icheon have practiced the tradition of ceramic art which has a history expanding over 5000 thousand years, the masters of this traditional ceramic artistry make it look so effortless. 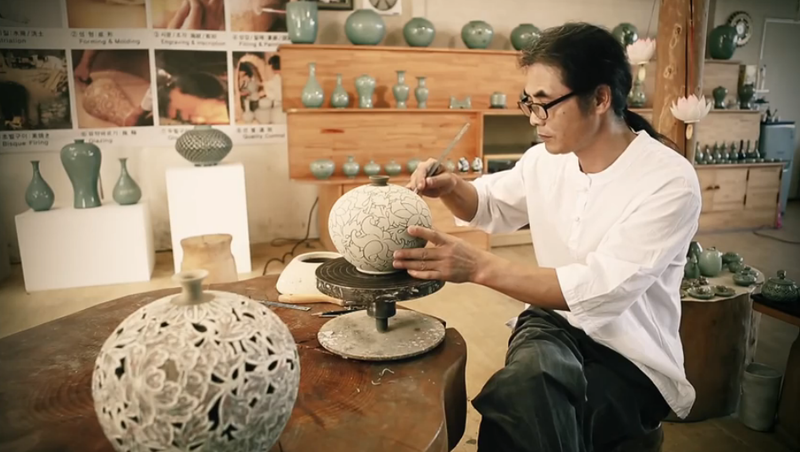 Watching these Korean masters at work, one can’t help but imagine how many hours are involved in perfecting this technique to create such beautiful intricate pieces. I can appreciate the difficulty in achieving the fine even layering of the coloured clay which is shaped into an elegant vase. While the clay is still damp, a steady hand carefully crafts a detailed floral design, the artist then carves out specially selected sections to enhance the traditional patterns, totally amazing artistry, simply breath-taking.